This easy breakfast casserole is perfect for a Fathers Day brunch or any gathering you need to feed a crowd. Just a few minutes from prep to serving! 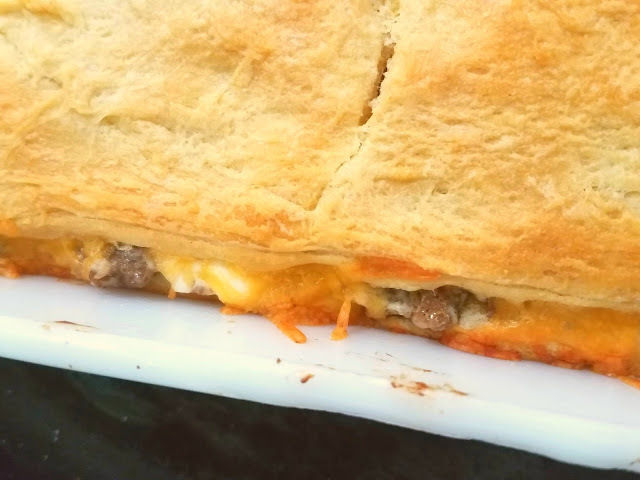 With savory sausage, creamy cheese layered beyween buttery, flaky croissant dough it bakes up beautifully and deliciously! This recipe comes from one of my husbands coworkers, who brought it to a work meeting. He loved it, and she shared the recipe. She gave her blessing for me to share with you! Jans Tip: I would think you could add some scrambled eggs, but I have not yet done that. I would think a soft scramble added would be great, play around with it! Rotel tomatoes with green chiles would add a slight kick. But may not be as kid friendly. 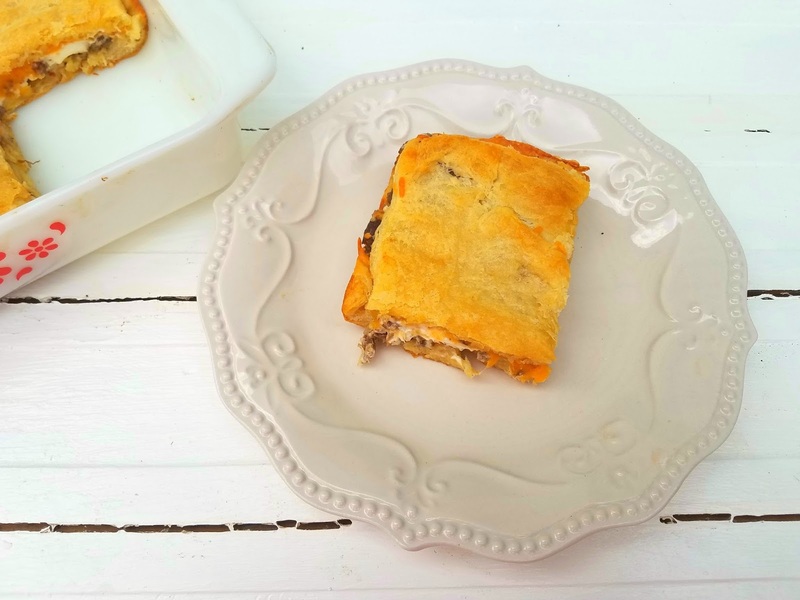 Breakfast Casseole with savory sausage and creamy cheese nestled between flaky, buttery croissant bread layers. Perfect for feeding a crowd. Preheat oven to 375° Grease 11 x 6 baking dishunroll 1 package of croissant roll dough into bottom of baking dish. pinch together the seams of the dough.In skillet cook sausage and crumble. Till cooked through. Drain any drippings. Remove from heat and mix in the cream cheese. 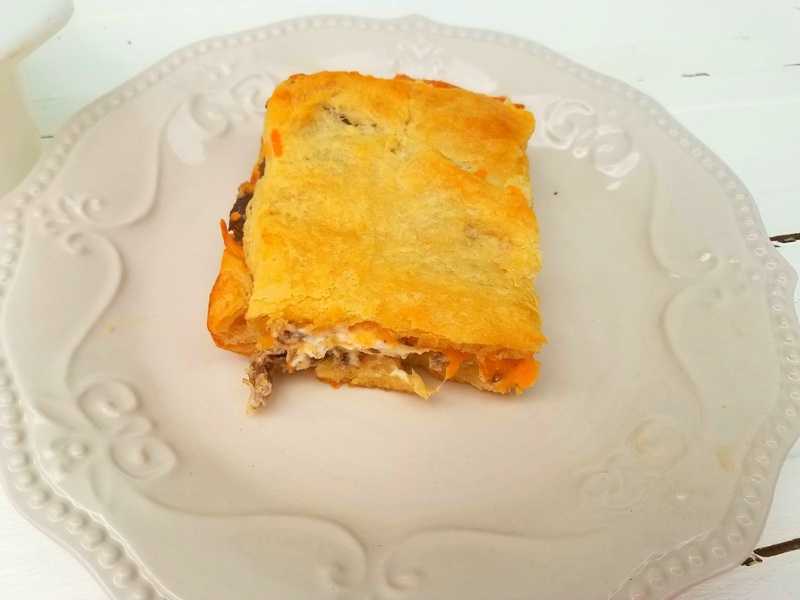 Stir till melted and well combined.Spread Sausage mixuture evenly over the dough in the prepared pan.Sprinkle the shredded cheese evenly over the sausage.Unroll the 2nd package of croissant dough over the sausage mixture. Pinch together the seams of the dough. Press the dough gently to cover over the sausage mixture if needed. Bake for 15 minutes or till golden brown. (I turned my oven off after 15 minutes, and left it in 3 more minutes just to brown the top more, without over browning the bottom). Prep time: 5 mins Cook time: 15 mins Total time: 20 mins Yield: 12-15 servings. We absolutely love this. I did add some mushrooms and diced green bell pepper to the sausage mixture and it was fantastic.